Many people are familiar with the situation when in the workplacethere is a monitor, a laptop, a keyboard, as well as other necessary gadgets, external drives, chargers, an extension cord and a lot of cords intertwined and tangled. All this not only steals a useful place on the table, but also looks rather unaesthetic, especially if the workplace is in the living room, in a conspicuous place, which creates a sense of clutter and inaccuracy of space. This situation was radically changed by a simple inhabitant of Stockholm, Niklas Johansson (Niklas Johansson). Its small computer room is equipped in a bright living room, decorated in Scandinavian style. 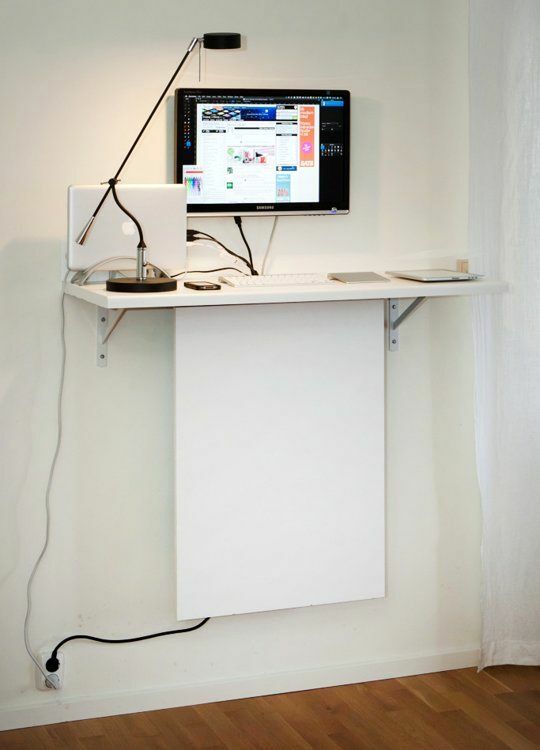 A full table on the legs did not fit in the interior, so Niklas decided to make a computer table with his own hands in the form of a shelf. 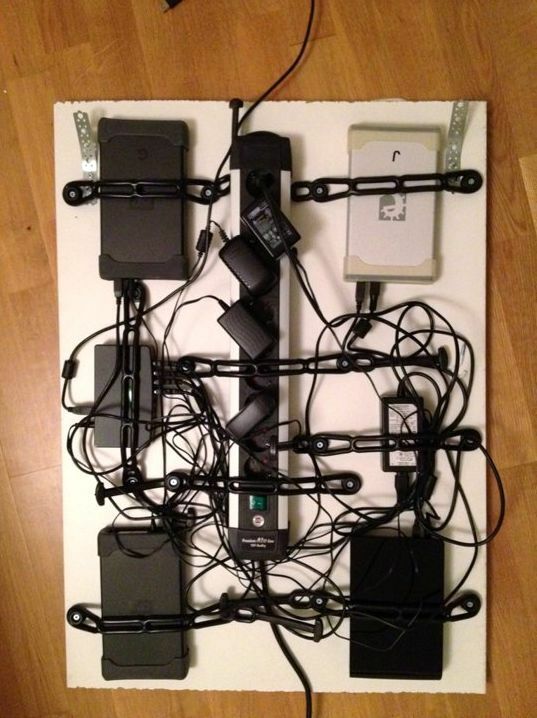 For this purpose, Niklas bought a board designed for a kitchen bench at the local IKEA store, cut it to the right size and, using metal corners, attached it to the wall. But in addition to the monitor, lamp, keyboard and macbook,On the table were to fit four hard drives and an extension cord for all power cords. then Niklas came up with the idea of ​​screwing to the bottom of the computer table with his own hands a vertical wooden panel, behind which all the necessary devices would be hidden. In the same IKEA, another board of the desired color and size was purchased. Using rubber clamps and screws, all four discs and an extension cord were securely attached to the surface. 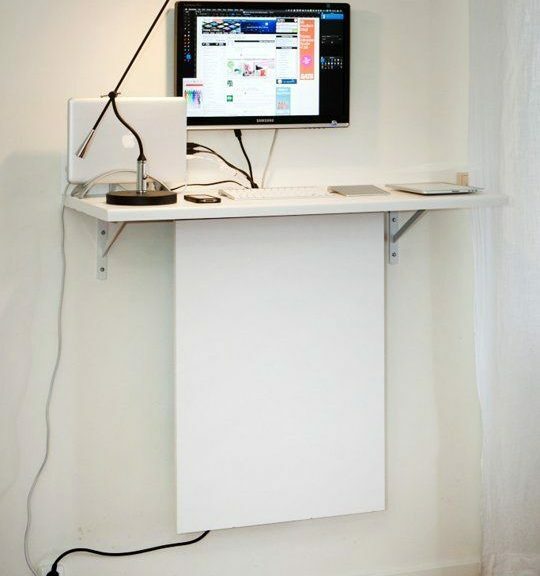 A great idea for saving valuable spaceworkplace and neat appearance! 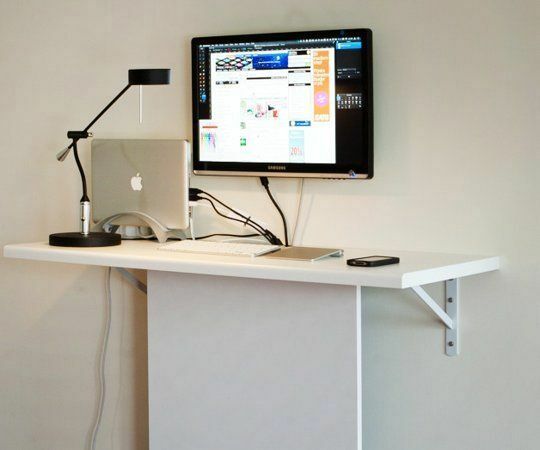 Well, if you do not like the little table, then you can improve any standard desk purchased in the same way in the same way.